Commonly known as 'The Vampire Facial' and popularised by Hollywood stars in recent years, PRP is a relatively new medical approach appealing to clients who seek a natural way of rejuvenating their skin and stimulating healing. The Angel™ PRP system is the latest generation of PRP Therapy available today. It offers superior isolation and a higher concentration of platelets, resulting in PRP aspirate which is capable of delivering quicker and visibly noticeable results compared to the older PRP harvesting machines available in Australia. PRP treatments can also be combined with other procedures for optimum results. In essence, PRP therapy refers to tissue regeneration using the patients' blood cells. Ageing and UV damage causes the skin’s texture and appearance to deteriorate gradually over time, which is characterised by sagging and thinning of the skin, crepe-ness, age spots, fine lines and wrinkles. The delicate skin around the eyes, neck and back of one's hands is particularly prone to this process. Simply put, PRP therapy helps to rejuvenate the skin where other treatments fail or deliver sub-optimal results. In spite of its name, PRP therapy is a relatively gentle and straightforward procedure when performed by an experienced doctor. The area to be treated is cleansed with a topical numbing cream applied for 40 minutes. Thereon, a small quantity of blood is obtained from the patient’s vein. This blood is then processed and the plasma component (the part rich in platelets and possibly stem cells) is separated. These platelets are then activated and injected back into the skin (or any other host tissue) using sterile equipment. The preparation is quick and straightforward and completed in the clinic during the appointment time. As for the duration of the procedure, approximately 45 minutes to 1 hour is required per two to four test tubes of plasma. How is the PRP procedure performed by doctors at Medisculpt different from other clinics? At Medisculpt, PRP therapy is performed only by doctors. Instead of using simple PRP, we add skin rejuvenating serums and activating factors to the PRP solution before injecting it back into the skin. This signficantly increases the clinical efficacy of the procedure and delivers greater clinical results. At Medisculpt, we do not just inject PRP using needles as most other clinics do. 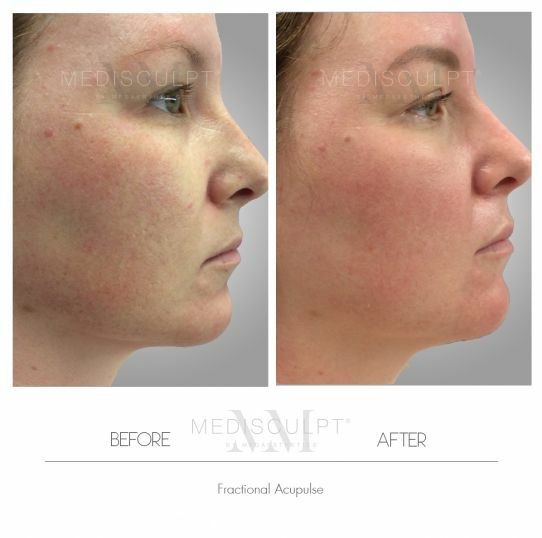 Fractional Lasers used at Medisculpt create tiny pores in the skin and are used by our doctors to deliver PRP to deeper skin layers without the use of needles. Often, we use an advanced derma pen device to infiltrate the PRP solution into the skin without any pain or discomfort. Use of such advanced techniques is the reason why Medisculpt has a high patient satisfaction rate for procedures such as PRP therapy. What is the downtime after PRP therapy? Are there any side effects? Apart from minimal swelling, bruising and redness for 12 to 24 hours, there are no documented severe side effects of this treatment. Most patients can return to work the next day with the clever use of mineral makeup such as Oxygenetics®. Am I a suitable candidate for Platelet Rich Plasma therapy? Not everyone is suitable for this treatment. Those affected by skin disease (such as SLE, porphyria and allergies), cancer, chemotherapy, severe metabolic and systemic disorders, liver disease, haemodynamic instability and abnormal platelet function (e.g. blood disorders) are not recommended to undergo this treatment. Anti-coagulation therapy and underlying sepsis exclude the use of PRP as well. Those who smoke heavily and consume alcohol in large quantities are also unsuitable. PRP therapy delivers very natural and subtle results for patients looking for gradual clinical improvement. Results are visible at three weeks and improve gradually over the ensuing months, with improvement noticeable in the texture and tone of the skin. Other procedures like fractional skin resurfacing and medical skin needling, when combined with PRP treatment, can significantly enhance these results. What is the total cost of Platelet Rich Plasma therapy? The costs are assessed during one's consultation with the treating doctor. An individual treatment plan is mapped out for each client with the price able to be evaluated at this time. This is based on the patient's unique requirements, budget and the result they desire. Platelet Rich Plasma therapy can also be combined with other treatments as a package, with the overall cost to be discussed at consultation.